This is a guest post by Eid Mohammed Hamed, head coach of the provincial branch of the Afghan National Team in Herat, Afghanistan. His story illustrates how remarkable outcomes can occur when Passion meets TI. When it came to sports, I’d always felt unaccomplished–and a bit lazy–compared to my brothers. All four are serious and accomplished power lifters, two with experience in international competition. One of them has twice won silver medals in the South Asian Games and is competing n Kyrgyzstan right this moment. All I could boast of was swimming a little but my awkward and slow breaststroke only reinforced my sense of inferiority in the arena of physical accomplishment. In the spring of 2010, my best friend, colleague and swimming buddy Ehsan showed me a self-coaching DVD he’d ordered from Total Immersion.As I watched I was immediately mesmerized. It had only been playing a few minutes when I decided: I must learn to swim this way! Ehsan and I began to practice together, comparing each other’s form to what we saw on the DVD. From the start, we began improving steadily. Ehsan and I have the good fortune to be employed by an American company, in a USAID-funded project, and we asked colleagues who visited the US bring back more TI learning tools–the DVDs Perpetual Motion Freestyle and Outside the Box and the Extraordinary Swimming for Every Body book–which we studied avidly. These resources–perhaps the only advanced swimming information in all of Afghanistan–played a vital role in the progress we’ve made over the past three years. 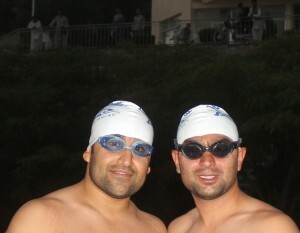 As Ehsan and I progressed in our mastery of TI techniques, we created quite a stir among the swimming community in Herat. Everyone wanted to learn this ‘smooth and elegant style.’ We visited pools all over Herat to give demonstrations of TI techniques. The pool owners knew and welcomed us because of the curious crowds our demonstrations drew. One fine morning in September, 2012, I received a call from one of the pool owners who told me that the Afghan Swimming Federation was planning to establish a regional team in Herat and the National Team Director had asked to be introduced to me. The Director told me that his search for skillful swimmers had brought up the names of me and my buddy, Ehsan. He asked me to help establish a provincial team for Herat, beginning with a tryout for promising swimmers. From the tryout, we selected 15 swimmers who showed talent and motivation, after which the director of the swimming federation officially asked me to coach the provincial team. At about that time I uploaded video clips of my swimming to Youtube, then posted links on the TI Forum, asking for feedback. TI Head Coach Terry Laughlin and others responded with encouraging and heartwarming comments. This inspired me to take my swimming to the next level. Last winter, I began coaching the team in Herat’s only indoor pool, which is called Shab Hai Talayi or ‘Golden Nights.’ While this pool is a bit small for training sessions, we find we can teach and practice technique quite effectively here. Our swimmers have shown as much excitement as I’d felt about learning TI–and have progressed as rapidly. An exciting measure of their progress came just weeks ago when two of them visited Mashhad, Iran for New Year’s Eve (on the solar calendar). Following my admonition to keep up their practice while on holiday, they swam with members of the Mashhad provincial team, creating a sensation there too! Upon returning home, they told me proudly that the Iranian swimmers could not believe swimmers with such advanced technique had been trained in Herat! Three years ago, I could not have imagined the stunning change in my circumstances that would result from watching a TI DVD. From a swimming novice to coaching the provincial branch of the national swim team–and even making waves beyond our borders! Even so, I know this is just the beginning of a long journey. 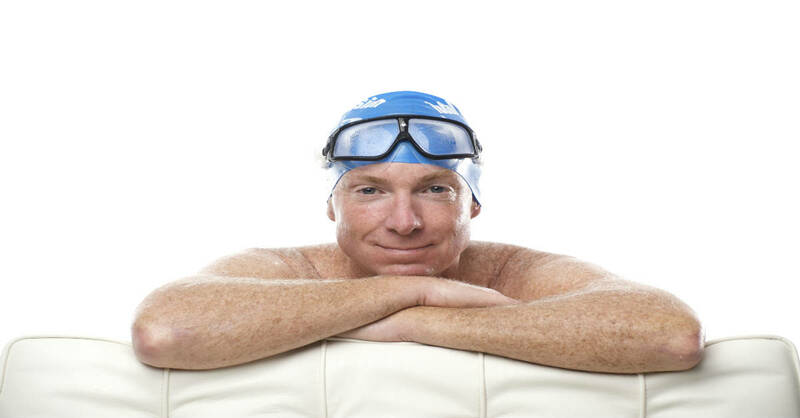 My unexpected journey is a tribute to TI, to my friends on the TI Forum who have responded with such encouragement and generosity to my posts, and of course to TI Head Coach Terry Laughlin my swimming ‘Guru’. My dream for the future is to attend a workshop with Terry and continue to develop my teaching and coaching skills to qualify as the first TI Certified Coach in Afghanistan. Eid Mohammad Hamed is 29 years old and married with a daughter who will celebrate her 2nd birthday on June 1. Eid works as an urban planner with the Regional Afghan Municipalities Program For Urban Populations, a USAID-funded project. Eid speaks four languages and, besides his passion for swimming, also has a passion for mystic poetry, particularly Rumi the 13th Century Persian poet and Sufi mystic. On the TI Forums, Eid posts as Azamy. Eid’s TI buddy, Mohammed Ehsan Azamy, is an information technology specialist with the same agency. Beautiful story. Elegant swim stroke. Plus, we both love Rumi. Thank you! Another TI success story, I read Afghanistan and thought ‘do they have pools there?’ and yes they do! Proves what that a decision to start and good tutorial, even if it is a DVD, can do with some practice and determination. I did TI over 10 yrs ago in Australia, I have newer DVD’s and I am getting them out to refresh my skills and do some practice myself, not to be the best or the coach, just better and safer in the water. If Terry agrees I think we should take up a collection to get him to a Terry coaching clinic. I’ll start with $500 (if Terry sends me all his DVD’s). Who else would be in on this? A nice story! Keep on swimming, Eid and Ehsan! I really proud on you, intelligent, colleagues. Indeed it comes after I read the entire Topic/History of your written accomplishments. Hi guys, I saw the movie it was incredible wish you all the best and proud of you. Excellent journey and accomplishment. Made me really proud to be an Afghan who lives in Herat. By spreading the word around the world through this kind of accomplishments we can show the world that Afghanistan is not only a war affected country and people with hope and dreams live here that don’t want the war anymore and want to improve themselves and their surroundings. Keep up the good work and hope you more success in the future. I love this story. How about Terry going to Afghanistan and doing several clinics? Far better than sending soldiers! As elder brother of Eid I witness all steps and give pride to him for his passion. I take it as greatest achievement in the minimum of facilities. My special thanks to Terry. Hope for greater and greatest. Nice story. I can’t afford $500, like Ace, but I’ll send $50 along if somebody will start a fund. Hey. I’ll look into starting a Kickstarter fund for Eid. Great story! I will contribute. Just let me know how.